2.4 GHz Wireless Technology The 2.4GHz Wireless Technology has 65536 IDs with 12 channels and works up to 30 feet. 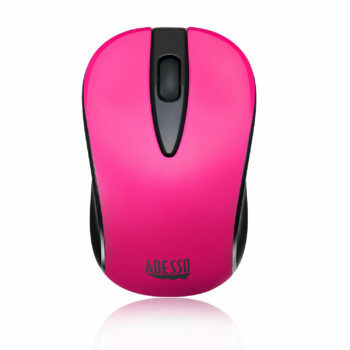 This provides the reliability to ensure your other wireless devices will not interfere with your mouse. Battery Saving The auto sleep feature will help users preserve battery when the mouse is not in use therefore extending its battery life. 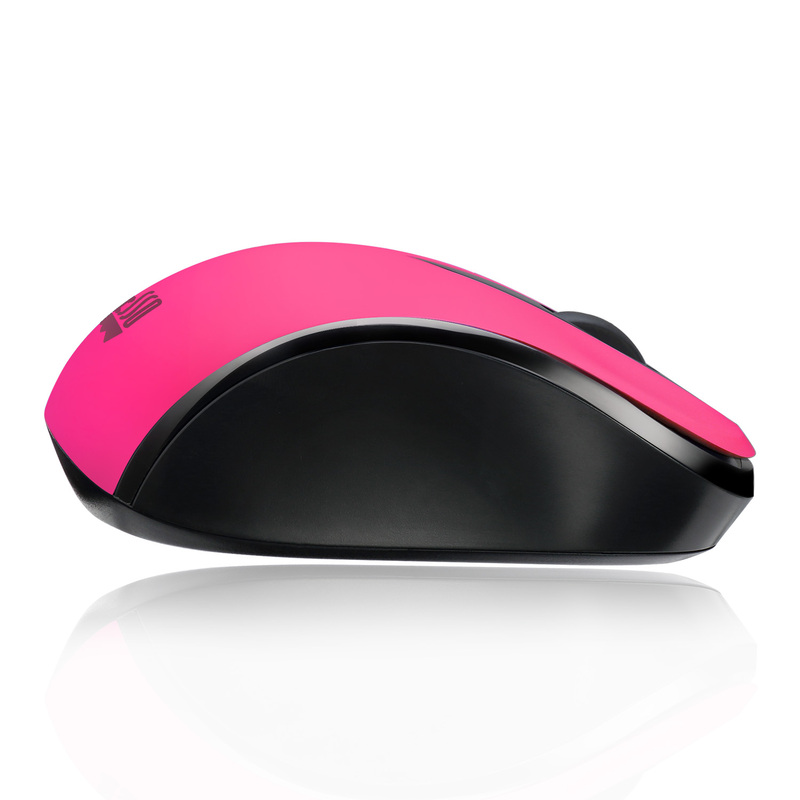 Small & Portable The compact and durable design will make this mouse become your ideal choice when you travel. 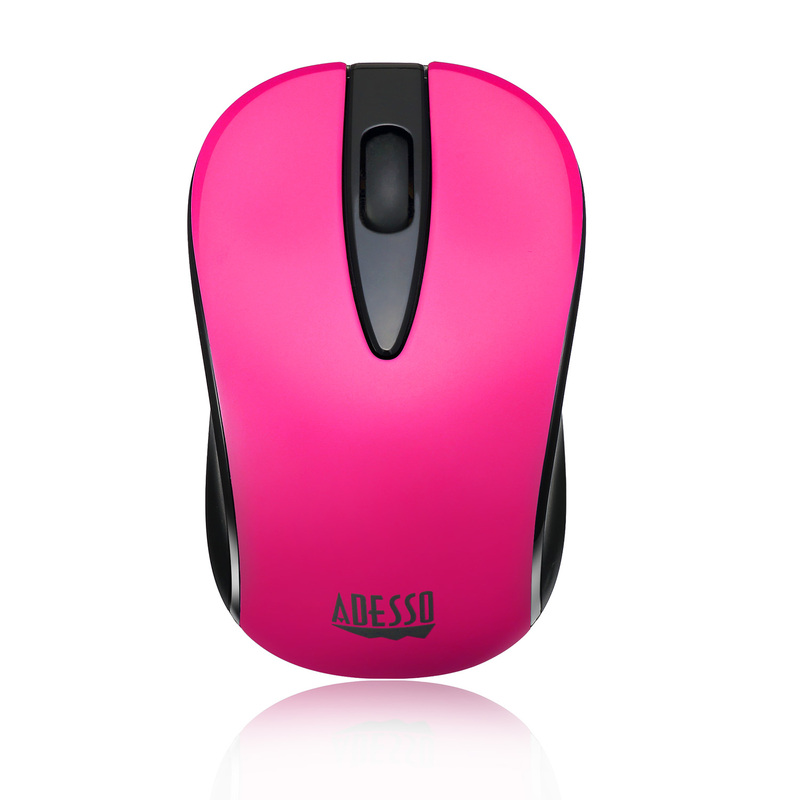 The mini compact size makes it easy to store your mouse in your laptop bag or briefcase while on the go. Optical Sensor Optical sensor technology improves precision and even lets you work on most surfaces like marble, wood and leather surfaces without the need of a mouse pad. 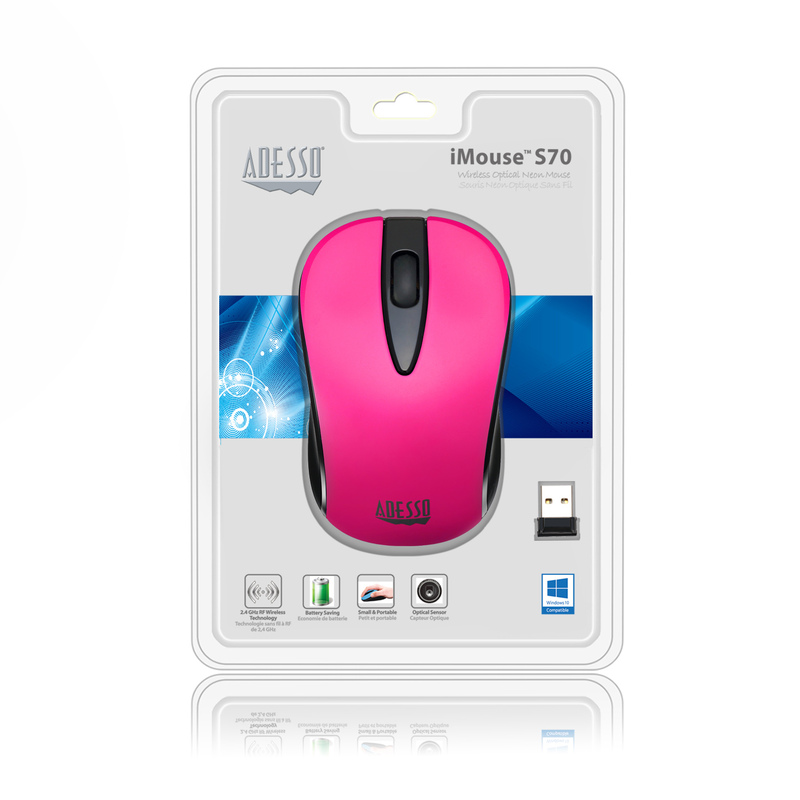 Product Description: iMouse™ S70P – Experience new levels of productivity with the Adesso iMouse S70P Wireless Optical Neon Mouse. 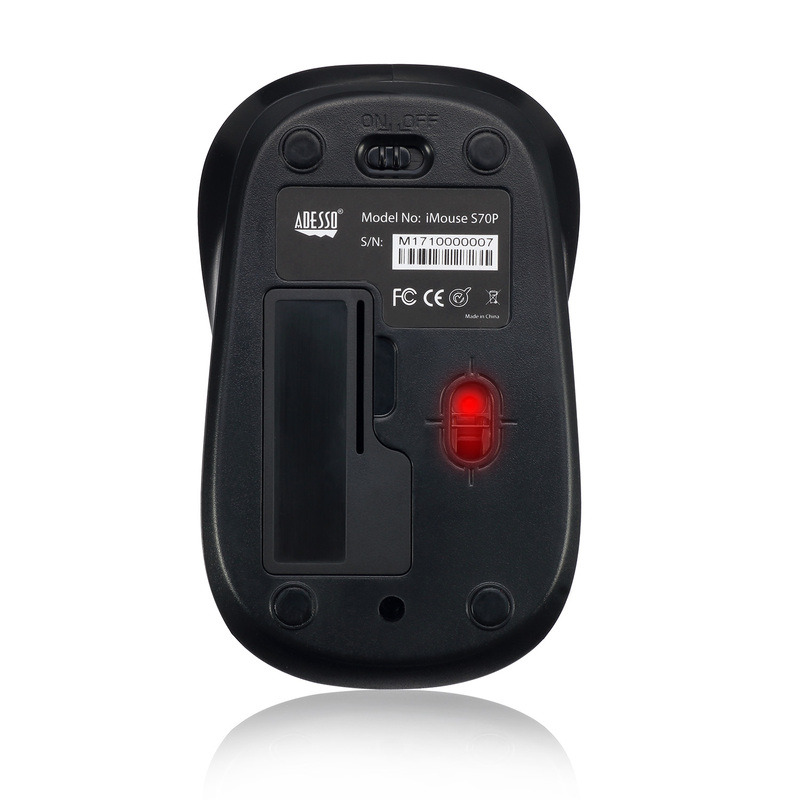 This advanced wireless mouse offers you 30 feet of wireless freedom and eliminates the constraints wired mice often cause. 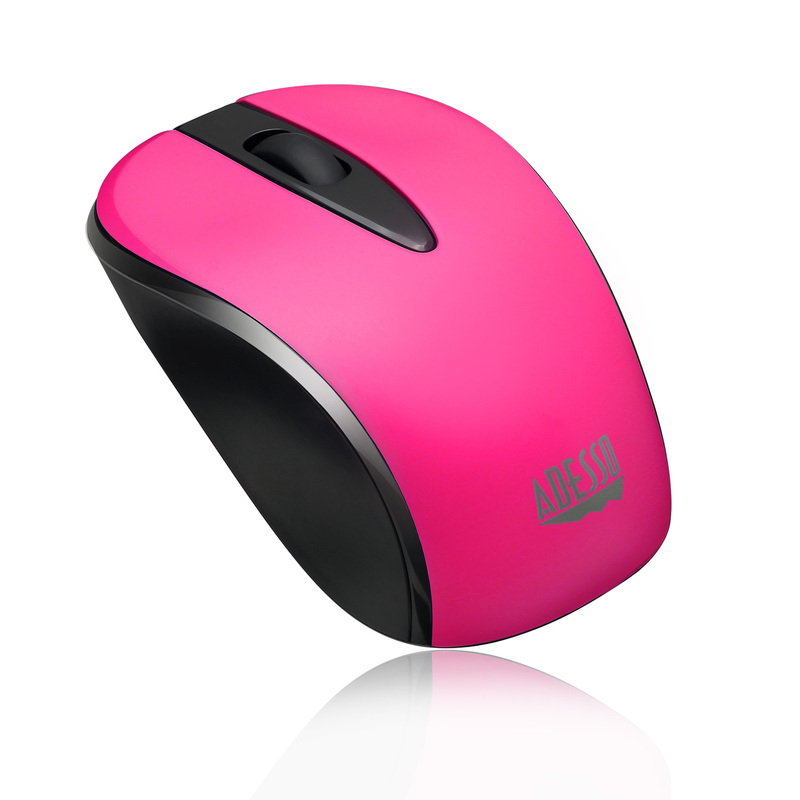 Its optical sensor tracking method lets you work on most surfaces with better speed and accuracy. 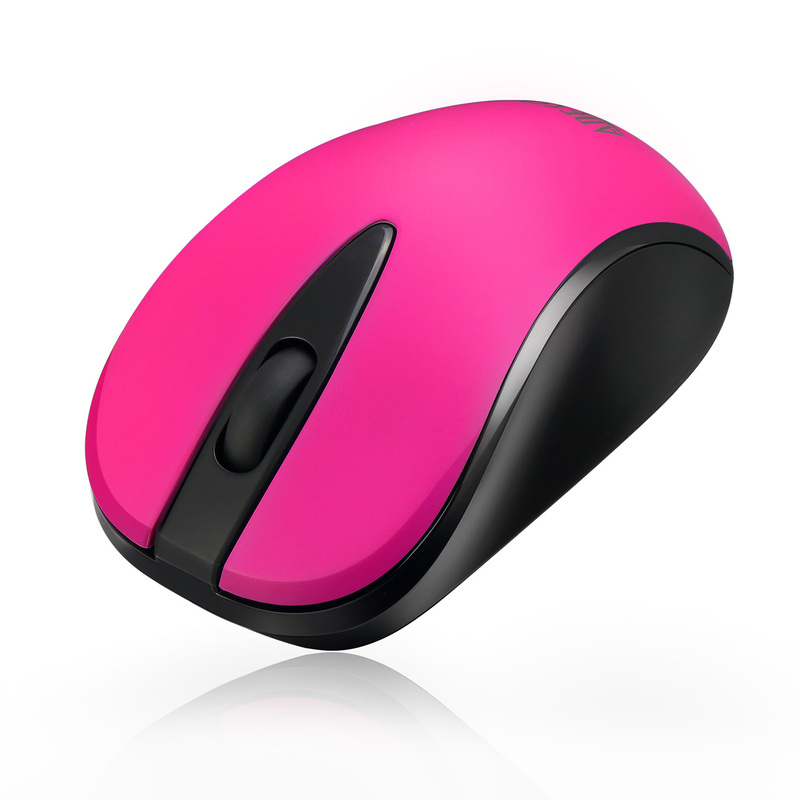 In addition, the mouse includes a built-in DPI resolution of 1000 for precise navigating and fast maneuvering. 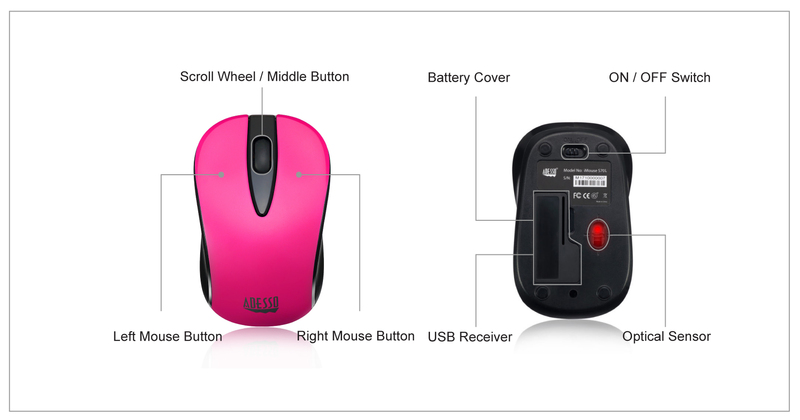 All these features, including it’s portable, compact mini size, provide excellent control, minimal hand movement and a mouse you can take or travel with anywhere.